When you're done With me....? 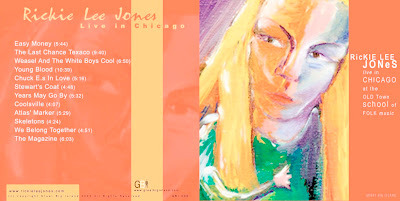 "Ugly Man" Lyrics and Music by Rickie Lee Jones from "The Evening of my Best Day". RLJ is my favorite singer/songwriter. Go here and take a listen to her latest, "Falling up". LOVED!!!! the Ugly Man link to family values....think that might have been your best yet.